Rimfire-primed ammunition is an inexpensive option, and its association with smaller calibers has made it popular among target shooters and weekend sportsmen who enjoy shooting in their backyards. It's also the number-one choice among varmint hunters looking to reduce the gopher population disrupting their crops and pastures. Rimfire primers work very much like old powder gun caps. The firing pin can strike anywhere around the rim at the base of the round, which ignites the primer, ignites the powder, then fires the bullet. Due to how the pin strikes, this type of round is not reloadable like some centerfire-primed rounds – but with it being so cheap, there’s no real reason to reload the casings anyway. Rifles and pistols that use rimfire-primed ammo are chambered in .22 or the relatively new .17 HMR. 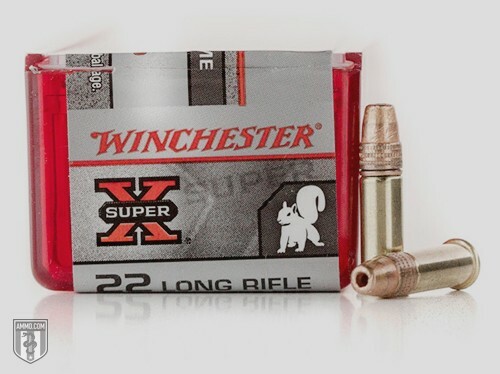 While the .22 has been around for ages and is still the most common, the .17 HMR is more specialized and first went into production in 2002 for those seeking a round with an amazingly flat trajectory. The .22 is a famous caliber that’s been used for training and shooting for over 50 years. Typically associated with the long rifle, the .22 is often a kid’s first experience with a firearm. The “bang” is very mild, the round is accurate, and the recoil is minimal. But this is by no means a kid-only round. The price, accuracy and ease of use simply can’t be beat for spending a day on the range, small-game hunting, plinking in your yard or target shooting – making it the most popular fired round for a reason. However, this caliber is notorious for richochets, so make sure you have hay, dirt or another bullet-stopper behind your targets if shooting on your property or a range. The .22 comes in a wide variety, including the .22 LR, .22 short, .22 long, .22 WMR, .22 Hornet and .22 250. Some of the most well-known manufacturers of rimfire ammuntion are Federal, Winchester and CCI. The .17 HMR is a relative newcomer in the ammo world, but this rimfire-primed round delivers on all fronts. Less of a plinking round than the .22, it's mainly made for small game at a distance. This is a highly accurate round due to the flat trajectory and extremely high speed, but is not recommended for close range. However, the composition and shape of the bullet makes it less prone to ricochet. Choosing rimfire as an ammunition primer is a great way to get into firearms, and quite a few middle-aged sportsmen today were weaned on the good old .22. You can pick up large quantities of this ammo at cheap prices and it’s carried almost universally by most shops, both physical and online. The .17 HMR is a bit more expensive, but it's the way to go if you’re after small game or want a higher speed and a higher accuracy round. There are conversion kits available that can turn your larger caliber rifle and pistol into a .22 or .17 HMR to save you money – and, bonus, can offer you more versatility in your weapon.